After receiving this fantastic array of gardening goodies, they may never want to leave the garden. 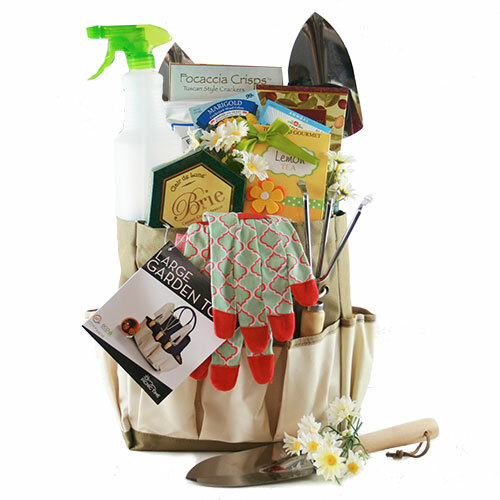 Treat that special gardener in your life with the gift that keeps on giving..this polyester garden tote is over flowering with helpful gardening tools. When the hard work is over, they can relax and enjoy delicious snacks with a cold glass of refreshing fruit flavored drink mix.